ZEEKO’s R & D office is proud to announce the release of the latest evolution of the ‘Alloy Series’ hydrofoil: The SPITFIRE Hydrofoil. This foil is a revolution in terms of design. The totally innovative geometry allows you to taste the joys of an hydrofoil with surfboarding f eeling. The Spitfire is the fruit of years of R & D geared towards fun. After developing a range of freeride foil wings, we have created the Carver wings and with the Spitfire we took it to a higher level and made a total breakthrough in design. Our goal was simple: introduce a foil with the best control in the curves and a carving potential beyond standard. For that, it was necessary to find a geometry creating the same feeling as a surfboard, to have a foil that does not stall during hard turns. This development has brought additional characteristics: the foil is more docile during the falls, is faster in light winds, has an incredible upwind ability all this with wings 30% smaller. How to assembly a ZEEKO Spitfire Hydrofoil (click on the pic below). 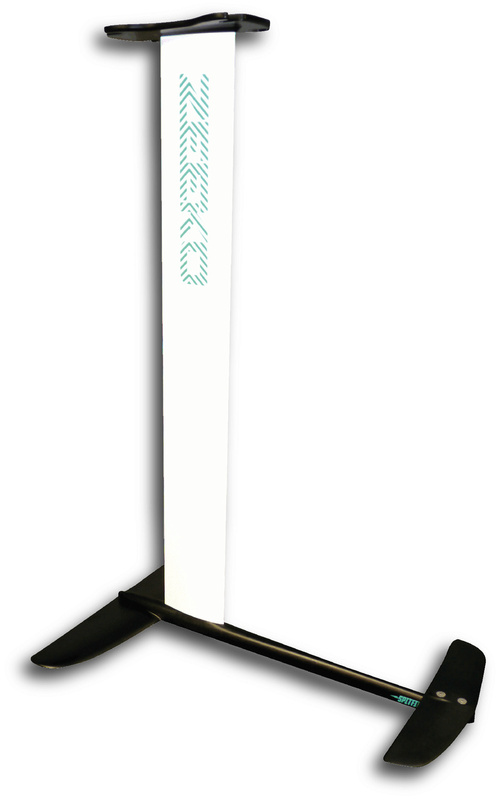 How to assembly a ZEEKO Spitfire Hydrofoil on a Pocket board or a AirWave board (click on the pic below). How to assembly a ZEEKO Spitfire Hydrofoil on a AirRace board (click on the pic below). This is an impressive Waveriding Foil ! Interesting that it's a canard with a small front wing. I want to try it. Great to see something new being tried. They say it is for wave riding so I guess it is slower but more maneuverable than other foils. I'm looking forward to seeing a review. Wow, that looks awesome. ...that's EXACTLY what I want to do. I'd sure love to try one, see how it feels. Is this foil compatible to the 2015 Slash? Will you sell the foil only complete or also an upgrade kit (Wings/Fuselage) for owners of the previous alloy foils? the front wing is smaller because the back wing produces lift as well and the lift of both ad to the total lift; is this unique to this foil? Do all the other directional foil's back wing produces negative lift? Macisback wrote: Hi Nico and Andre! I would also be interested in this . . . but I have noticed that the sum of the individual parts price wise (with their other foils) adds up to more than the whole kit.